The Advanced Coaching Diploma revolves around the four themes of Coaching Leadership, Coaching Effectiveness, Performance Planning and Training and Competition Readiness. Diploma coaches work through a problem solving process that requires analysis, planning, and implementation of new skills and knowledge in their day to day coaching environment. Find out more about our Theme Mentors and Content Specialist involved in the ACD. Dave has dedicated his career to legitimizing the role of coaches in Canada and raising awareness of the value of coach education, coaching and athlete development. He started his coaching in Alpine skiing, coaching from the Nancy Greene ski league to the FIS levels spanning over 10 years. During this time he began coaching rugby and has coached at all levels of the game in Canada and on the international stage. Professionally, Dave has grown as a leader in the development of the National Coaching Certification Program (NCCP), facilitating sports in the transition to a competency-based coach education model. Dave spent three years at the Coaching Association of Canada in Ottawa, before moving back to Victoria where he was engaged in regional and high performance athlete/coach programming with the Canadian Sport Institute. A graduate of the National Coaching Institute-BC, Dave’s qualifications include a Master of Science (UVIC), Bachelor of Education (UCalgary), and Bachelor of PE (UCalgary). As Director of Coaching at the Canadian Sport Institute, he envisions a world leading coach education program accessible to coaches who wish to further their skills and experiences and help athletes reach their full potential. Throughout her many years of involvement in sport, Gail Donohue has made a difference at every level — local, provincial, national, and international. Committed to supporting coaches in sport and ensuring their impact at all levels of the provincial and national sport systems, Gail has shared her considerable skills in many areas. 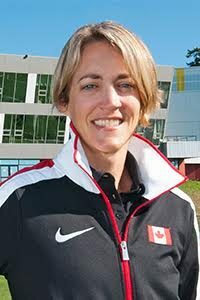 Gail has been a National Team athlete, 1984 Olympic Coach, sport administrator, and learning facilitator. Professionally, Gail’s career spans a number of important initiatives. Her expertise covers coaching, administration, financial management, partnership development and maintenance, communications and coaching education. She brings a creative and visionary leadership to every project she undertakes. Gail has worked with all ages from children to adults, at recreational to Olympic levels. Recently, she left Sport BC as Director of Strategic Membership Systems to become a full time consultant. Gail’s real passion lies in facilitating individuals and organizations in achieving excellence. A Charter Professional Coach, Gail is Vice President of Coaches of Canada and sits on the board of Coaches BC and the Coaching Association of Canada. After earning a PhD in exercise physiology from the University of Alberta, Howie Wenger has spent the better part of his career life teaching at Post-Secondary Institutions. His work has carried him to the University of Ottawa, the University of Alberta, and the University of Victoria where he won the UVic Award for Excellence in Teaching. In addition to his work with schools, Howie has worked as an exercise physiology consultant to Canadian National Teams: Ice Hockey (1979-1992 plus Olympic Team [1980, 1984, 1988, 1992, 2004]), Rowing (1980-1988), Alpine and Freestyle Skiing (1988-1998), and Soccer (1980-1986); NHL teams: Vancouver Canucks (1981-1983), Los Angeles Kings (1986-1993), New York Rangers (1993-2000), and St. Louis Blues (2001-2004); and the Canadian Forces (2000-2010). Howie has published over 100 research and applied articles in Sport Science and has supervised over 100 graduate students through to completion of MEd (Coaching Studies), MSc, or PhD. degrees. His work has won him both the Canadian Association of Sport Sciences Award for Applied Sport Science Research and the Gordon Juckes Award for Contribution to the Advancement of Hockey in Canada from the Canadian Hockey Association.